If you have ever gone to a health food store or a juice bar, you must have come across a patch of fresh green grass growing in a pot. This is wheatgrass, the young grass of the wheat plant, which is usually juiced and taken as a supplement in the form of powder or tablets. The nutrient-rich content of wheatgrass boosts immunity and improves the digestive health. Other health benefits of wheatgrass include reduction of cholesterol levels, weight loss, anti-inflammatory benefits, etc. Some of its proponents also claim that you can use it as a treatment for cancer, diabetes, anemia, and joint pain. Let us learn in detail on how wheatgrass benefits our health with potential side effects. Wheatgrass is the freshly sprouted grass of the common wheat plant Triticum eastivum. You can harvest wheatgrass around 7 to 10 days after sprouting. It usually takes two weeks from planting to harvesting. People blend the wheatgrass into juice or add it to smoothies. Dried wheatgrass tablets and powder are also available at health stores. The history of wheatgrass can be traced back to over 5000 years, to ancient Egypt and Mesopotamian civilizations. The ancient Egyptians believed that young blades of wheatgrass improved health and vitality. In the more recent past, wheatgrass gained popularity in 1930s thanks to the Charles F. Schnabel’s experiments. In the 1940s Ann Wigmore was able to heal herself of cancer with weeds from vacant plots. Later, she discovered that wheatgrass has medicinal value. Wheatgrass is a rich source of amino acids, vitamins, minerals, and enzymes. One of the most critical nutrients in wheatgrass is chlorophyll, which acts as an antioxidant in the body (1). It contains 17 amino acids, of which eight are essential amino acids, which means that they are not produced in the body, and you have to obtain them from food sources (2). Wheatgrass also contains antioxidants like flavonoids and phenolic acid. It is a rich source of iron. It also includes several vitamins and minerals like magnesium, calcium, selenium, vitamin A, vitamin C and vitamin E.
Though the proponents of wheatgrass claim it has several health benefits, most of them are not science-backed. Here are some of the evidence-based benefits of wheatgrass. The high chlorophyll content in wheatgrass provides alkalizing benefits to the body. It naturally balances the pH levels in the body, which protects cells and prevents acidosis. Acidosis occurs when we follow an unhealthy lifestyle and eat processed food. Chronic acidosis can lead to various diseases including cancer. This is the reason why chlorophyll is linked to young and healthier looking skin. Along with providing alkalizing benefits to the body, wheatgrass also helps in the absorption of nutrients like electrolytes, vitamin C, and vitamin E.
Antioxidants are compounds that fight free-radical damage and reduce oxidative stress. Wheatgrass has strong antioxidant content including glutathione, vitamin C and vitamin E (3). Numerous studies have found that consuming wheatgrass can inhibit lipid peroxidation in the liver and help protect mitochondria in cells. This reduces inflammation levels, thus lowering the risk for liver disease, cancer, and heart ailments. During one study, when wheatgrass was given to rabbits, it decreased their total cholesterol and increased HDL-C. It also leads to an increase in glutathione and vitamin C levels in their bodies (4). 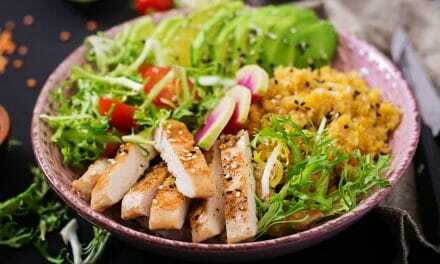 Another study found that the oxygen radical absorbance capacity (ORAC) of wheatgrass were much higher than that of many other extracts and vegetables (5). During a lab study, a phytochemical analysis revealed the presence of flavonoids, triterpenoids, anthraquinol, alkaloids, tannins, saponins and sterols in fresh wheatgrass juice (6). Several studies have found that wheatgrass can lower the levels of cholesterol in the body. During one study, rats with experimentally-induced high cholesterol were given fresh wheatgrass juice for 14 days. The results revealed that the rats experienced reduced levels of total cholesterol, LDL cholesterol, and triglycerides (7). Another study examined the effects of wheatgrass in rabbits that had been fed a high-fat diet to induce hyperlipidemia. These rabbits were given wheatgrass along with a high-fat diet for ten weeks. The results showed that wheatgrass supplementation resulted in decreased total cholesterol and increased HDL. It also significantly reduced malondialdehyde levels and increased glutathione and vitamin C levels (4). Though the results of these animal studies are very encouraging, we need more human studies on the subject. Wheatgrass can protect from cancer by inducing apoptosis (self-destruction of cancer cells) according to studies. According to a 2017 study, wheatgrass can reduce the spread of oral cancer cells by 41 percent (8). During another study that checked the effects of commercial wheatgrass on leukemia cells, the researchers found that wheatgrass reduced the number of viable cells by 65 percent after 72 hours of treatment (9). Wheatgrass can also reduce the adverse effects of traditional treatment for cancer like chemotherapy. During one study, 60 patients with breast cancer were given wheatgrass juice along with chemotherapy treatment. Researchers observed that this treatment helped reduce myelotoxicity and decreased the risk of impaired bone marrow function (10). According to research done at Rambam Health Care Campus, Israel, wheat germ extract has anti-cancer potential. It can help prevent cancer and be used along with cancer treatment. It can attenuate chemotherapy-related side effects, benefit rheumatoid arthritis, ulcerative colitis, hematological diseases, diabetes, obesity and oxidative stress (11). Wheatgrass juice is considered to be beneficial for lowering blood sugar levels. During one study, when researchers gave wheatgrass to rats, it helped modify the levels of specific enzymes and reduced blood sugar levels (12). In a 2013 study diabetic rats were treated with wheatgrass for 30 days. The researchers found that treatment with wheatgrass improved their blood sugar levels significantly (13). Chronic inflammation can lead to autoimmune disorders, cancer, and heart disease. According to some studies, wheatgrass contains compounds that can reduce and control inflammation. During one study, when 21 patients with ulcerative colitis took 100 ccs of wheatgrass every day for one month, it improved their condition and also reduced rectal bleeding (14). Wheatgrass is also an excellent source of chlorophyll which is known to have potent anti-inflammatory properties. According to a 2012 study, chlorophyll is a valuable anti-inflammatory agent (15). Another study found that chlorophyll also helps reduce the inflammation in human aortic endothelial cells (16). Regular consumption of wheatgrass juice stimulates the thyroid gland, which helps boost metabolism and improves weight loss. Wheatgrass contains thylakoids which are known to aid in weight loss. Thylakoids are chlorophyll-containing membranes in chloroplasts that are isolated from green leaves. In one study, 20 overweight female subjects were given thykaloid enriched meals. Researchers discovered that thykaloids suppressed hunger and increased satiety in the subjects (17). In other words, consuming thykaloid-rich wheatgrass can reduce food intake and prevent compensational eating later in the day and hence prevent weight gain. In another study, when rats were given a diet with thykaloids, it resulted in suppressed food intake, lower weight gain and lower body fat as compared to the rats that were fed high-fat diet (18). The best way to get fresh wheatgrass is to grow it on your own. It is convenient and affordable to get a constant supply of wheatgrass this way. You can buy wheatgrass starter kits online. The best wheatgrass is grown in healthy soil, so make sure also purchase organic soil to grow your wheatgrass. Make sure you clean all the equipment thoroughly to prevent bacterial growth. It takes about two weeks for the wheat to sprout and be ready for harvesting. Once you harvest the wheatgrass, you will need a juicer or blender to press the wheatgrass into a liquid freshly. You can also buy wheatgrass in the form of juice, powder, and pills from health food stores. Add wheatgrass juice or powder to smoothies to improve their nutritional content. You can also mix wheatgrass juice in salad dressings, teas, and other beverages. Wheatgrass is generally considered safe when taken in small amounts. 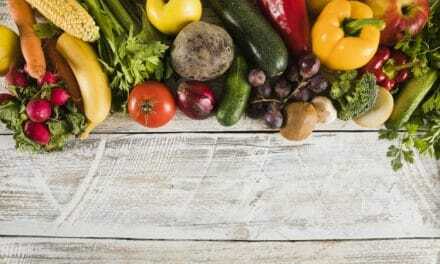 However, you must consume it in addition to a healthy diet along with fruits and vegetables. Allergic reactions to wheatgrass are rare. In some cases, people have shown an adverse reaction to wheatgrass like nausea, headaches, diarrhea, hives, and swelling of the throat. Wheatgrass can also get contaminated with mold and food-borne bacteria. If it shows signs of spoilage or has a bitter taste, you must discard it. There is not enough information about the safety of using wheatgrass if you are pregnant or breastfeeding. So, avoid it in such cases. Wheatgrass may lower the blood sugar of people with diabetes. So, if you have diabetes and use wheatgrass, monitor your blood sugar to avoid low blood sugar. Wheatgrass can also interfere with blood sugar control during surgery. So stop consuming wheatgrass at least two weeks before surgery. 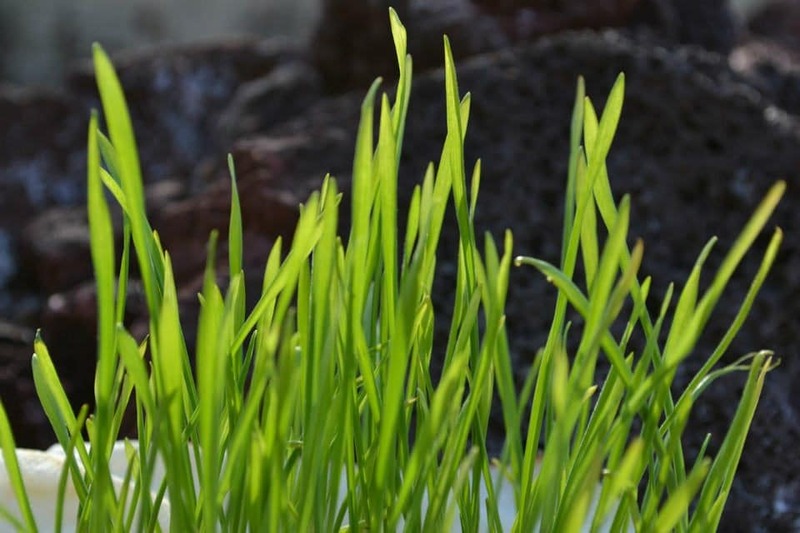 Wheatgrass is the freshly sprouted grass of the wheat plant. It provides many health benefits including blood sugar control, lower cholesterol, cancer protection and weight loss. 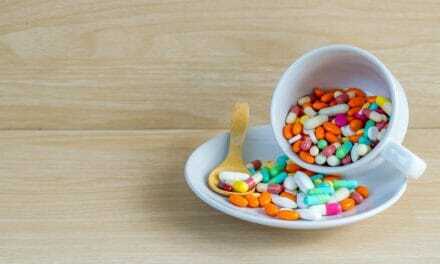 More studies are needed to confirm the positive effects of its various nutrients in humans. It is easy to grow and harvest wheatgrass in your home. You can also purchase wheatgrass juice or supplements in the more on powder or tablets from health food stores. Add them to your smoothies or salads to enjoy their health benefits. NextLaser Periodontal Therapy – How do Lasers treat Periodontitis & Gum diseases?